When it comes to image editing, Adobe Photoshop is in a class by itself. Despite its humble beginnings as a plug-in to a long-defunct commercial scanner, Photoshop now stands as Adobe's flagship and most famous app, and the default standard worldwide for professional print and online image editing and graphic design. A new version, announced at the Adobe Max 2013 creativity conference, serves up major enhancements to the program inside and out. In Adobe's transition from Creative Suite to Creative Cloud, familiar apps get an upgrade while subscribers get a slate of extra services for their $50 monthly subscription. Access to Sync services, 20GB of online storage, the Behance community hub, automatic cross-platform downloading and updates to all programs in the suite, and training are some of the benefits built into subscriptions. What's in a name? Plenty, it turns out. 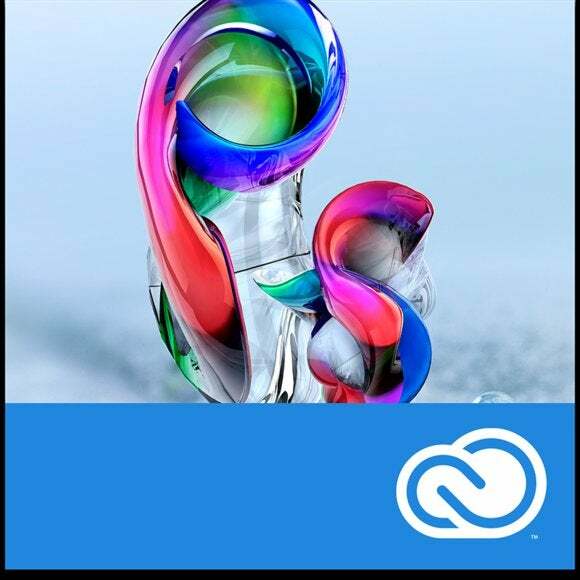 Photoshop CC is the first version unilaterally tied to Adobe's Creative Cloud subscription service. There's no numbering system—at least for now: It's just called Adobe CC. Another major change is that Photoshop Extended, the more expensive Photoshop package that included 3D capability and sophisticated image analysis tools has now been merged into Photoshop CC. Now, there is just one Photoshop. While Photoshop users, a historically creative and opinionated group, may line up on one side or the other of the perpetual license/cloud debate, everyone can at least agree that what we're really waiting to see is what Adobe has done with the program. Here are some of the early highlights. Over the years, Photoshop has augmented and refined its photographic tools to provide myriad ways to salvage poorly shot but sometimes important photos. 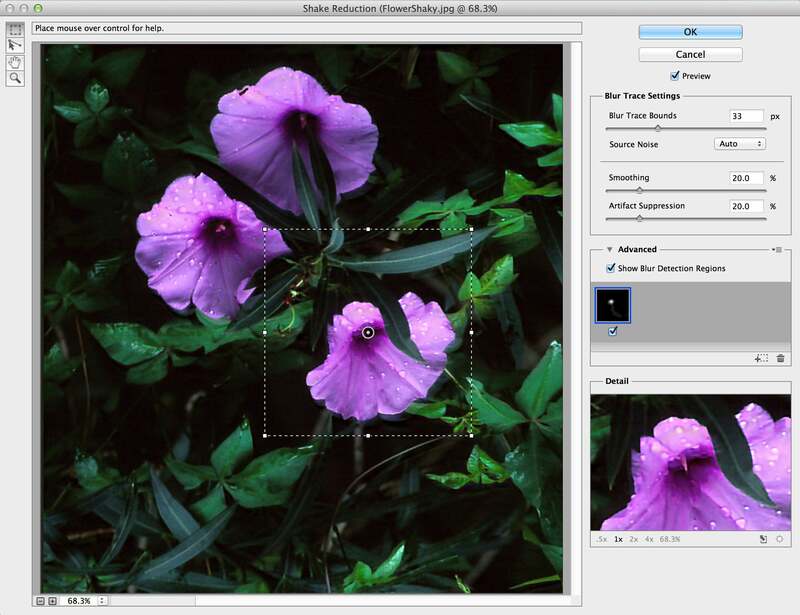 Smart sharpen: The algorithm backing the new Smart Sharpen filter analyzes images to maximize clarity and minimize noise and halos. It lets you fine-tune the image for natural-looking results, revealing textures, edges, and details. Intelligent upsampling: Everyone who works with images needs to, at some point, change their size. The new intelligent upsampling feature lets you enlarge traditionally troublesome low-resolution images to look eminently presentable in print. Of course, you may want to start large and go larger, blowing up your high-resolution image to poster or billboard size. The intelligent part is that the new upsampling feature preserves detail and sharpness without introducing noise. Camera shake reduction: No need to really explain why this is here. Even the most skilled photographers can ruin images if the camera moves during the shot, so this feature is designed to let you salvage shots made unusable due to camera motion. Whether your blur was caused by slow shutter speed or a long focal length, Photoshop analyzes its trajectory and helps restore sharpness. Expanded Smart Object support: This feature lets you non-destructively add blur effects or push, pull, pucker, or bloat an image or video. The original file stays intact as you edit or remove the effects—even after saving your file. 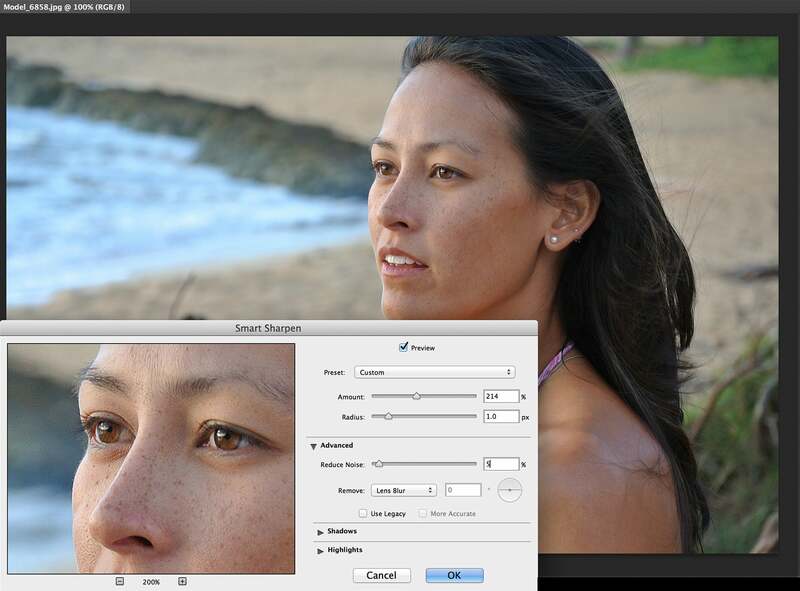 Camera Raw 8 and layer support: The new version of Camera Raw lets you apply Camera Raw edits the same way you would a filter to any layer or file inside Photoshop, and then enhance them any way you want. This gives you a more precise way to heal images, fix perspective distortions, and create vignettes. While Photoshop is primarily known as an image editor, the program has equally grounded roots in the graphic design industry. Photoshop CC features a number of profound improvements to the graphical aspects of the program. Editable rounded rectangles: This doesn't seem like the most earth-shattering upgrade to the mighty Photoshop, but Adobe says it’s one of the most-often requested features from the design community. Photoshop CC now lets you resize, edit, and re-edit shapes before or after they're created, including individual corner radiuses in rounded rectangles. Plus, if the shape you're working on is going on a website, you can export the CSS data from the file to save design time. Multishape and path selection: This new capability lets you select multiple paths, shapes, and vector masks simultaneously. Even in multilayered documents with lots of paths, you can easily target the path (and any layer) you want on canvas with a new filter mode. Conditional actions: These commands use if/then statements to automatically choose between different actions based on rules you set up. Improved 3D painting: Anyone who's worked with 3D knows that complex jobs can be a slow process. With the new Photoshop painting engine, live previews are now up to 100 time faster and more responsive when you paint on 3D objects and texture maps, according to Adobe.